Rising Sun & Elvis. 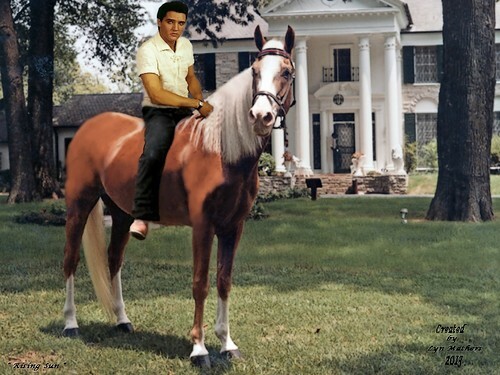 Elvis's Favorite horse "Rising Sun". HD Wallpaper and background images in the Elvis Presley club tagged: elvis presley. 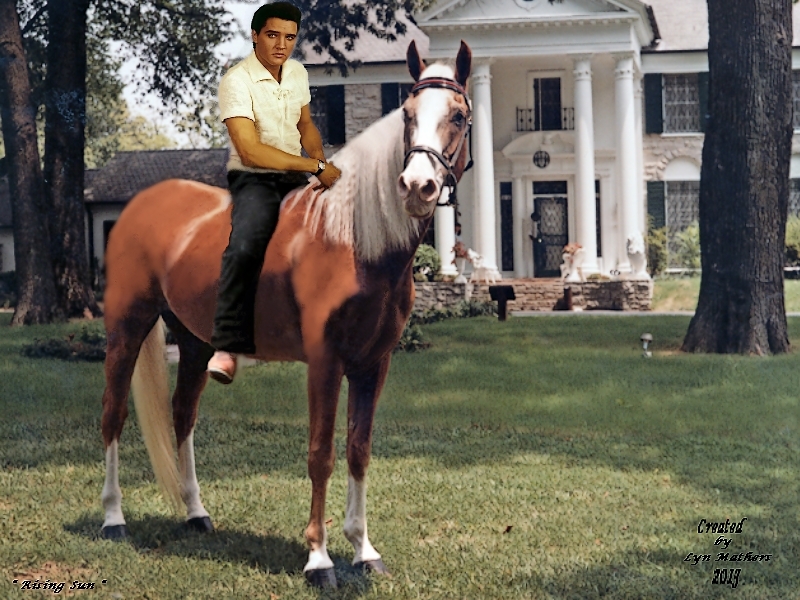 This Elvis Presley wallpaper contains dressage, horse wrangler, wrangler, and horse trail. There might also be steeplechaser, saddle horse, riding horse, mount, and american saddle horse.